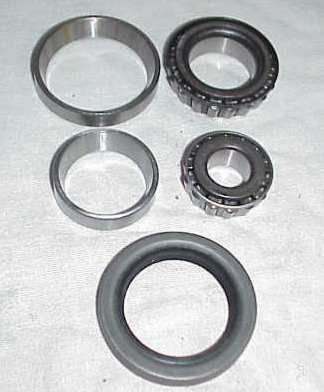 Brand new wheel bearing kit for the front including grease seals - INCLUDES 4 BEARINGS, 4 RACES, AND 2 SEALS.. Always good to replace. Many times they are frozen or rusty from sitting.